As we have stated before, mold is pretty much everywhere you go in trace amounts. It thrives in humid and moist environments. Mold is an inescapable pest. But, obviously that doesn’t mean there is absolutely nothing we can do to combat it or that we shouldn’t try to eliminate as much of the issue as possible. It’s no secret that prolonged exposure to mold, especially in large quantities, can be deadly. (For more on mold, where it tends to grow, and symptoms of mold exposure, please check out this recent post by us – https://www.boilingspringshvac.com/blog/89-2/ . According to the US Environmental Protection Agency, indoor air can be up to 5 times more polluted than outdoor, with some pollutants measuring at amounts as much as 100 times greater than in outdoor air. Here at Boiling Springs, we care about your health and well-being and want you to be informed about all the best possible solutions to keep you and your loved ones breathing easily with peace of mind. That is why we wanted to let you know about a few ways you can combat mold and help you find other indoor air pollution solutions. We offer special solutions for air purificaton such as the Bulldog Pro Max. The BPM is a UVC germicidal light that treats the air flowing through your ducts, helping to cut down on allergens, pollutants, and odors. The 2 bands of UV-C light and special photocatalyst operate on the molecular level by channeling the air moving through your ducts through an oxidation chamber where harmful airborne pollutants and VOCs (Volatile Organic Compounds) are exposed to a lethal dose of UV-C light. From there, the dead microorganisms break down and become harmless and odorless components. With the constant circulation of indoor air via the HVAC system, the Bulldog Pro Max guarantees that you will always be able to breathe with ease and peace of mind. Like Cherokee County Schools, one way to ensure better air quality is to have your home’s air quality professionally tested for radon gas, carbon monoxide, and other VOCs. This can be costly, but well worth it. But, if you do not feel comfortable paying for professional testing, you can also purchase kits to test on your own. The issue with that is that it takes several kits to test for the different pollutants, which can run a high bill as well. Whichever you choose, it is a good idea to know what you could be inhaling. 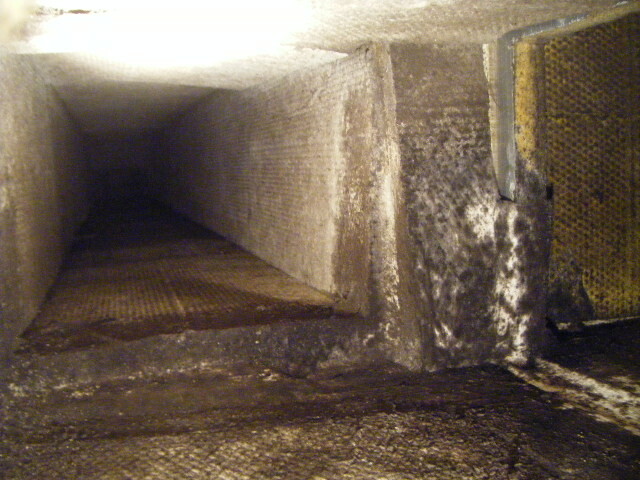 Another solution is to have your air ducts inspected, cleaned, and insulated. Cleaning removes existing mold while insulation will cut down on the amount of condensation that develops on the outside of an within your ducts. There are also a few things you can do on your own to help breathe with better peace of mind. Running a dehumidifier in the areas of your house that are damp and humid, such as basements, bathrooms, closets, and bedrooms will take the moisture that mold needs to thrive out of the air. Changing your air filter regularly will also help, since it improves airflow to and from the system, helping it run efficiently and preventing excessive run time from building up more condensation. Filters are also designed to catch some of the harmful spores from the air as the return register draws in the humid and temperate air from your home to cycle back through your system’s air handler.